Manchester City recovered well from their midweek defeat to Newcastle United via a 3-1 win at home over Arsenal. Many wondered how City would respond in this capacity, and they did well. Overall, they were too strong for Arsenal, as their passing, technicality, movement, and finishing was at a higher level than that of the Gunners. Arsenal looked very good in parts and were able to fashion chances in some capacity, but it was again defensive woes that cost them. Sergio "Kun" Aguero opened the scoring in the first minute, as City came out of the blocks very strongly. Alex Iwobi lost possession of the ball just outside his own penalty box, leading to a cross and Aguero heading in from close range. Manchester City then bombarded the Arsenal goal, but couldn't add to their tally. Arsenal, however, grew more strongly into the game, and their captain Laurent Koscielny equalized from a set piece. Nacho Monreal had a flick-on header, and poor City marking allowed Koscielny to head from close range. For the next twenty minutes, Arsenal were looking increasingly confident and had some shots on goal and creative spells. There weren't many clear cut opportunities, but they were active in the final third all the same. Aguero scored again, however, as before half-time Sterling managed to cross and the Argentine tapped it in at the far post. This was a bittersweet half for Arsenal, but then second half saw City's superior technique dominate. Most of their shots weren't very powerful, but they had far more chances compared to Arsenal and could have scored more. Aguero got his hat-trick via a controversial goal, though the referee believed he didn't intentionally handle the ball. Aguero slid in from a cross from the left, but the ball seemingly caught his arm before going in. Pep Guardiola's team certainly answered the critics and had a commanding performance. In contrast, Arsenal battled in parts, but this shows how far they are behind the other top sides. More needs to be done to improve. 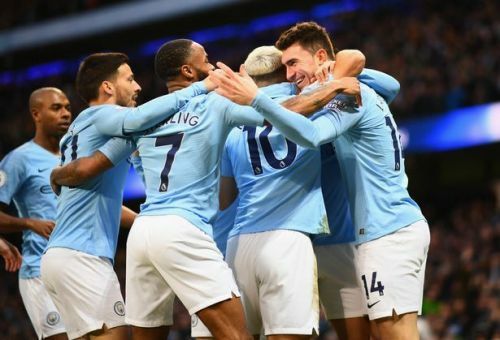 Manchester City were able to recover well and produced a strong display to dispatch Arsenal. 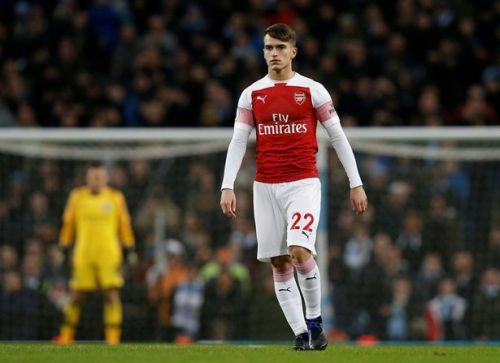 Their movement was crisp, and they showed why they were challenging to retain the league, and why Arsenal are struggling to get into the top four. Sergio Aguero also displayed why he is amongst the best strikers in Premier League history. He scored a great hat-trick, though his third goal was tinged with controversy as there was a hint of handball involved. Nonetheless, the goal stood, and City await the result of Liverpool's game at West Ham United. Seemingly, the Newcastle defeat hasn't shaken Pep Guardiola's side, and they would need this level of resilience to retain the league title. Other top performers, bar Aguero, were Raheem Sterling and Bernardo Silva. Both provided good width when required, and troubled Arsenal's fragile defence often. City's demise may be premature, but they surely will fight to retain their league title. This is a mixed feeling for Arsenal. Yes, Manchester City is a level above Arsenal. The club is still rebuilding under Unai Emery following faults towards the end of Arsene Wenger's tenure. However, a defeat at the Etihad isn't terminal, nor the end of the world. Arsenal did look good after Koscielny scored. And conceding the goal before half-time was a blow. But then the second-half performance was weak, and this hasn't anything to do with a lack of fight or hunger. The Skyblues were just on a higher holistic level. They ran Arsenal ragged in the second half, and were a bit wasteful in their finishing in this period. Chelsea and Manchester United, Arsenal's challengers for the top four, won this weekend, but then Arsenal is only three points behind Chelsea, with more football to come. The top four race is still on, and Arsenal faces Huddersfield Town away in the league next. Given their poor relegation form, Arsenal should be favourites, though nothing is certain. Denis Suarez, the loan signing from Barcelona, made his debut and looked sharp in places. However, he will have more opportunity to shine in coming games. An additional point was the strong forward play of Aubameyang and Lacazette, and the skilled performance of Matteo Guendouzi. For a player who signed from French Ligue 2, and is still very young, he is looking increasingly accomplished as a ball-retaining box to box player. His distribution and defensive awareness still need development, but overall his energy, pace, and dribbling are top quality. He surely is an asset for Arsenal for years to come.